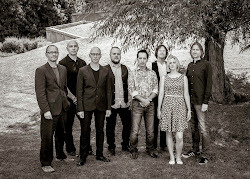 Quite a lot happening for Big Big Train at the moment so thought I'd do a blog post just to draw some of the threads together. First of all, I want to say, on behalf of the band, a heartfelt thank-you to everybody who took the time to vote for us in the Progressive Music Awards which were held at Kew gardens on the 3rd September. We were delighted to be nominated, even more thrilled to be invited and stunned to win the Breakthrough award. It was an extraordinary night at a beautiful location where everybody, wherever they are in the prog firmament, was friendly and approachable. All of the musicians are fans of progressive music and there was a lovely sense of 'we're all in this together' which has seen the genre through some tough times. We would especially like to thank Jerry, Jo, Russell, Philip and the other writers and staff at Prog magazine for their vision in launching the magazine and the awards. Again, they are also fans and, like the musicians, they are trying to run a business in difficult times for the publishing industry. Team Rock Radio has tonight broadcast a show on the awards including many interviews and excerpts from speeches and it's well worth a listen. It should be available on the Team Rock On Demand service very soon. One of the few disadvantages of winning an award is that you are ushered backstage for interviews and photos so we actually missed much of the ceremony. Philip Wilding's radio show has helped to fill in some of the gaps for us. 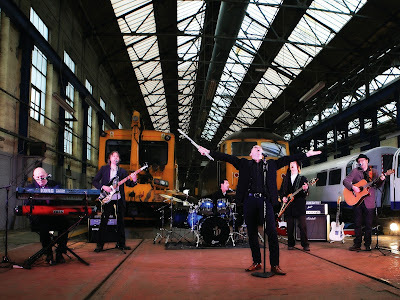 In the next couple of weeks we will be releasing two new CD's - English Electric: Full Power and the Make Some Noise EP. The former is the ultimate statement of our English Electric releases and the latter provides an affordable option for listeners who already have English Electric Parts One and Two and want to hear the additional songs. Alongside the new CD's, English Electric Part Two will be released on vinyl through the Plane Groovy label. The double vinyl album features the four new tracks from English Electric: Full Power. We have commenced work on a new album as well as the Station Masters retrospective and Nick returns to England at the end of September for some more recording. We are also spending a week at Real World next year to try out our planned live show. We are committed to playing a show as soon as we can but want to do a full rehearsal with the brass and string musicians in a controlled environment just to iron out any teething problems. We will be filming the Real World event as it's an extraordinary place to play and we would like to show you what we are up to. All being well, we'll follow Real World with a gig or two and then we hope to be playing live on a more regular basis after that. We hope you enjoy the new releases and, once again, thank you for supporting Big Big Train. Oh my... Love to read this! Thanks Greg! Great post! 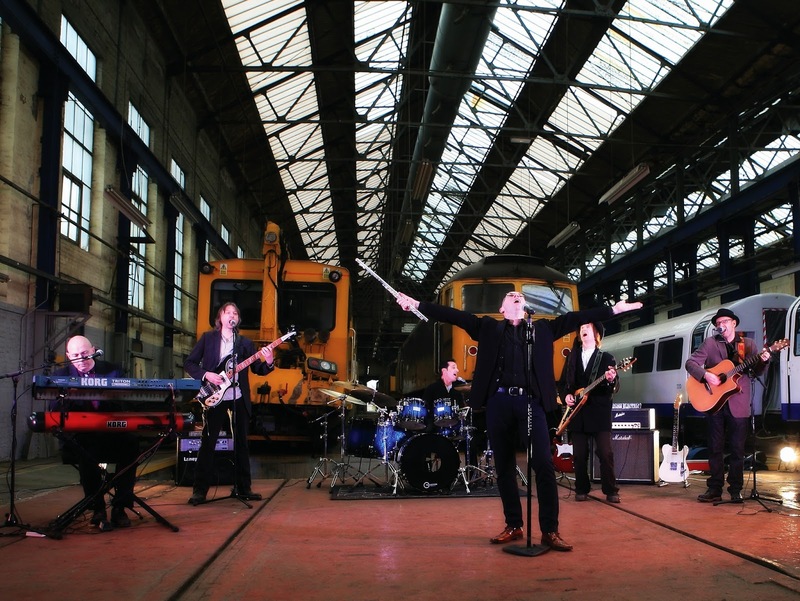 Any chance of bringing Big Big Train to the states? I think the most appropriate venue would be the Roundhouse at Camden Town - an ex loco shed. Full Power is one of the most stunning albums I'v heard in decades. I'm a fan of early Genesis and Spock's Beard among other prog greats. This work compares very favorably with the best. It is progressive rock at its finest. I'm simply blown away by the quality of composition and musicianship. Truly awesome music absolutely deserving of the highest praise. I don't say that lightly. I've been listening to outstanding prog since the 70's and all I can say is holy crap! This is close to the pinnacle of prog. You completely nailed it. I can't wait to see what you guys come up with next. Congratulations on an album that is clearly among the top 10 prog albums of all time. If I could think of more superlatives I would use them but I'm speechless.